McNary needed to play a clean, mistake-free seven innings to upset No. 1 West Linn. With two critical errors in the bottom of the fourth, the Celtics came up short, falling 10-1 on Wednesday, May 24 in the second round of the 6A baseball state playoffs. McNary trailed just 2-1 after Jonah Geist singled and scored on a Tyler Covalt sacrifice fly to right field in the top of the fourth. On the mound, Riley Hays got two outs with a runner at second in the bottom of the fourth. But after an intentional walk and hit by pitch loaded the bases, a single and two infield errors then led to four West Linn runs. The Celtics also had a difficult time adjusting to West Linn’s turf field. “The turf is extremely fast so I think we had some problems adjusting to the speed of the ball on the turf,” Keeker said. At the plate, McNary had just three hits against Tim Tawa, who has committed to Stanford University. Geist was 1-for-3. Jacob Jackson and Joshua Benson were both 1-for-2. Caleb Kiefiuk-Yates added a pinch-hit double off of a relief pitcher in the seventh. “Their pitcher (Tawa) was really good,” Keeker said. West Linn has won 20 games in a row after defeating Gresham 8-1 Friday, May 26 in the state quarterfinals. The Lions then defeated Beaverton 3-1 Tuesday, May 30 in the semifinals. They’ll play Clackamas Saturday, June 3 at Volcanoes Stadium. “They are certainly deserving of that No. 1 seed,” Keeker said. The game was the final one for McNary’s 10 seniors. “I’m extremely proud of the senior class,” Keeker said. 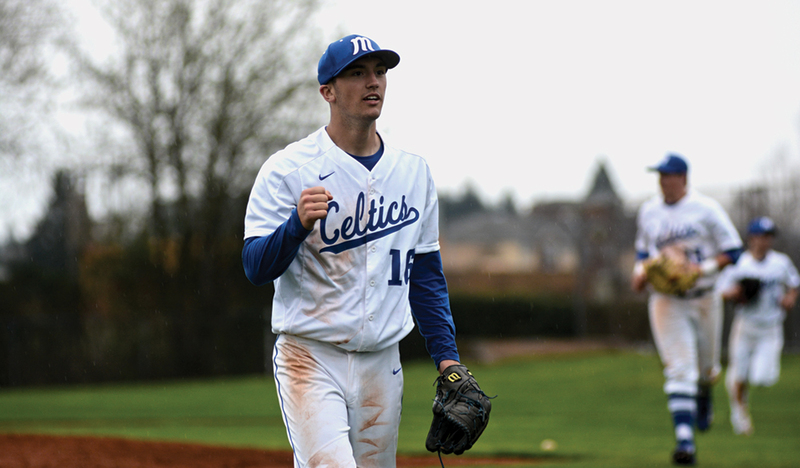 “One of the indicators to me was at the end of the game how emotional a lot of the senior were that they knew it was finally came to and end and the time they invested in the last four years in the McNary baseball program was certainly something they felt strongly about.